Football and basketball are hardly similar, but it's pretty to understand why people would love both. Both sports command huge viewership during their respective seasons, and there are personalities from both worlds who help form those audiences. You'll find that there are NBA stars and former stars who not only love football - or soccer as they would probably call it - but are somewhat involved in the sport. And, of course, it goes both ways. Below is a list of six football stars/personalities who are huge fans of the NBA and six basketball icons who just love them some football... or, soccer. The Atletico Madrid and France star is a huge fan of NBA basketball and is an even bigger fan of Derrick Rose. The Frenchman's love for the former Chicago Bulls star runs so deep, he interrupted Paul Pogba's interview after France beat Croatia in the World Cup final in July to say, "I love Derrick Rose" before blowing a kiss. 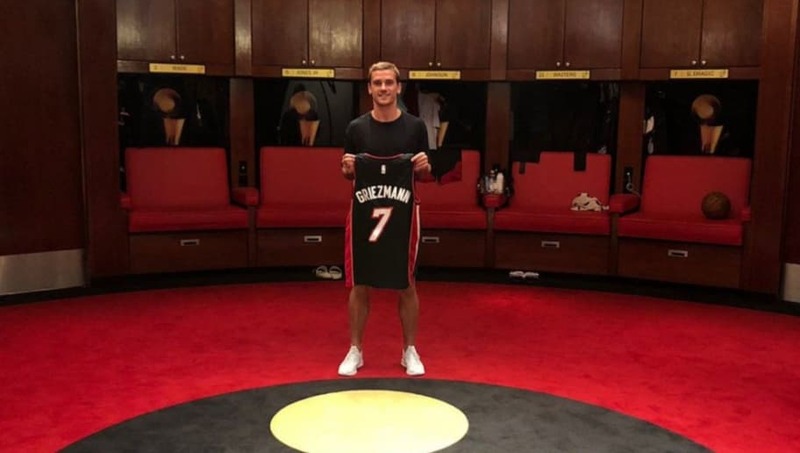 Griezmann has been to several NBA games over the years and visited the Miami Heat after his exploits with France. He has also asked the French Football Federation to allow the France squad NBA-style championship rings to commemorate their achievement in Russia. 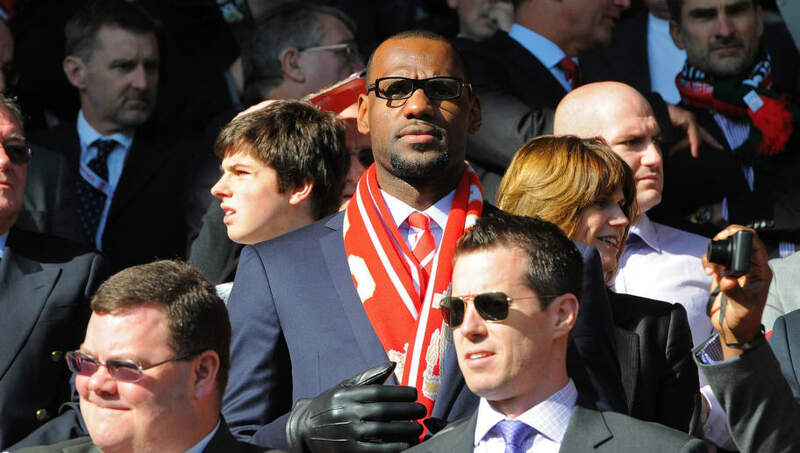 New Los Angeles Lakers star LeBron James is not only a Liverpool supporter, he actually owns a minority share in the team. The NBA superstar made some major bank after the Reds made it to the Champions League final this year and his his initial $6.5m investment in the team is now worth $32m. LeBron's favourite player, though, plays for French giants Paris Saint-Germain and not Liverpool. As if you had to guess, it's Neymar. He also showed support for Borussia Dortmund starlet Christian Pulisic during his off-season break by posting a photo on Instagram of him wearing the youngster's USMNT jersey. France star Paul Pgba is also a massive fan of the NBA and loves playing basketball too - so much so, Manchester United had to order him to end his physical involvement. 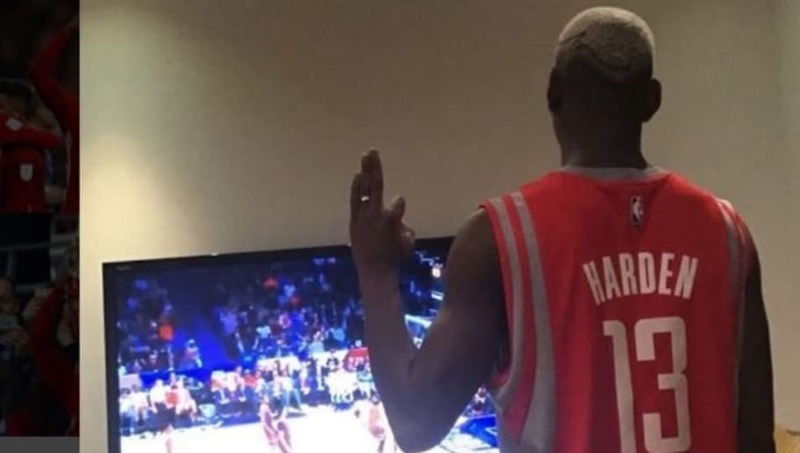 The World Cup winner is friends with a few NBA players, including James Harden and Joel Embiid, and showed his support for the Houston Rockets during this years NBA Playoffs by posting the above photo on his Instagram. 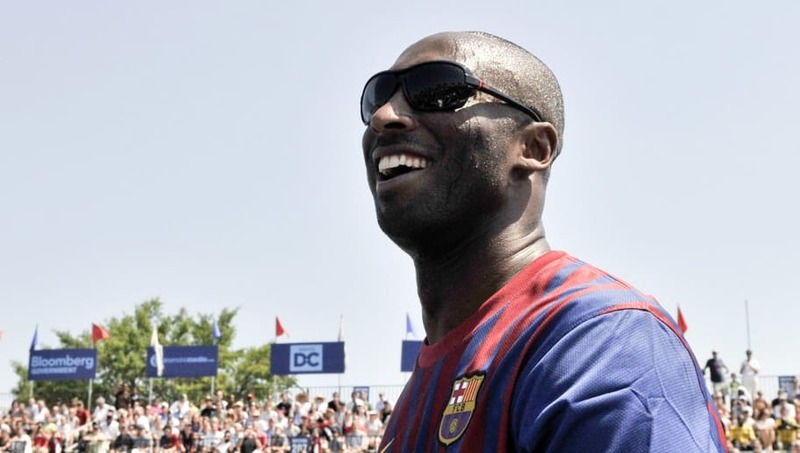 Los Angeles Lakers Legend Kobe Bryant is known to be a Barcelona supporter and loves the game of football. "I'm a big soccer fan to begin with and watching Ronaldinho just captivated me," he explained in an interview some years back. "That's how I started following the team and from that point forward I just stuck with them. In 2014, the former star was linked to the purchase of Italian club Bologna. Kobe's family has ties to Italy and they moved there when he was a kid, with his father having played basketball for AMG Sebastiani Rieti, among other Italian clubs. He was reported to have been in the bidding for part ownership of the side, but nothing materialised from the reports. 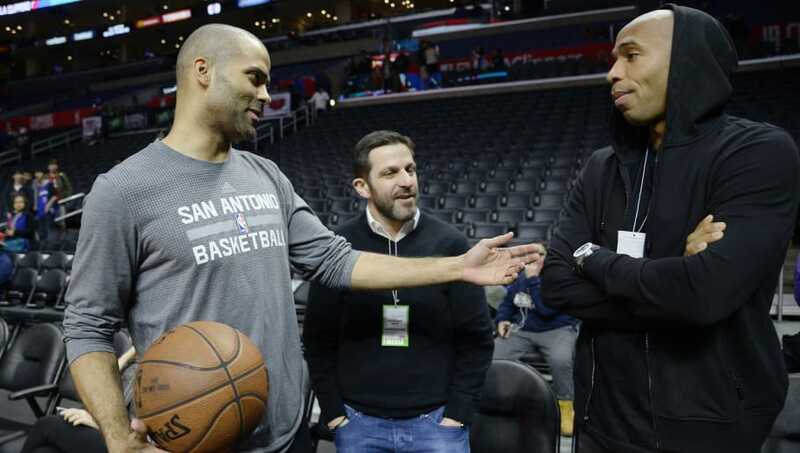 Arsenal fans might not be happy with their Legend Thierry Henry being affiliated to anything 'Spursy', but the former forward is a big Spurs fan when it comes to basketball and is close friends with Tony Parker. 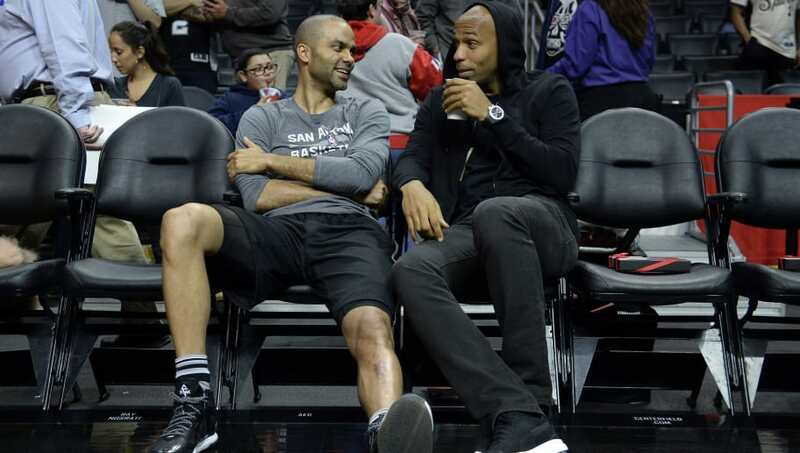 Parker and Henry are both French and, with the former being one of San Antonio's best-ever players, he's gained the support of one of his country's biggest names where sport is concerned. The ex-Arsenal star has been a regular feature in NBA games, particularly matchups involving Spurs, over the years. But Gunners fans can rest assured that Henry has no love for the Spurs where football is concerned. Carmelo Anthony will be playing his basketball with the Houston Rockets in the upcoming NBA campaign after what could be considered a failed year with the Oklahoma City Thunder. 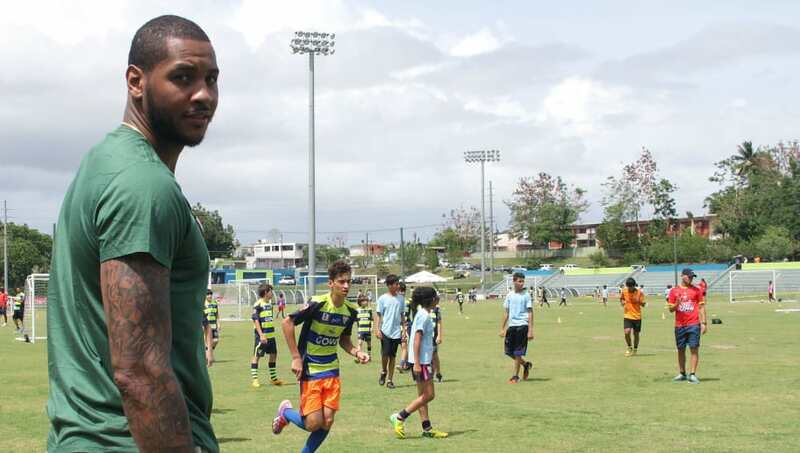 The 34-year-old, 10-time NBA All-Star is a professed Gooner but he also owns his own football team, having founded NASL side Puerto Rico FC three years ago. The player's father was born in Puerto Rico, hence the ties, and his investment was also said to be in an effort to bring football back to the country. 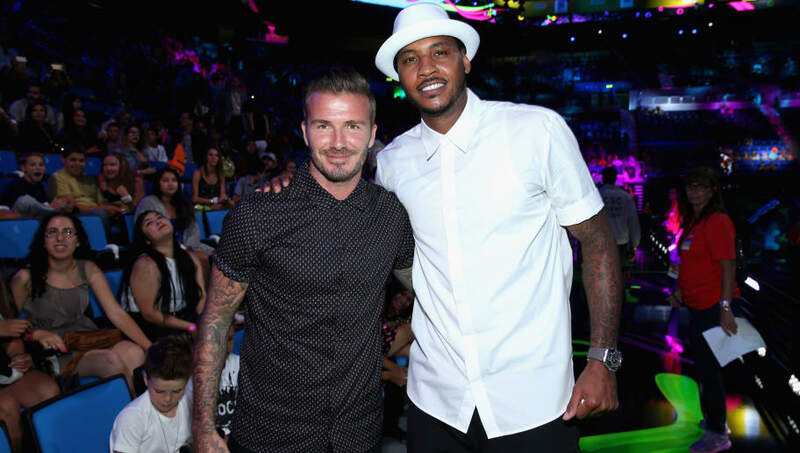 Easily one of the most recognisable personalities in sport, David Beckham is a huge Los Angeles Lakers fan. 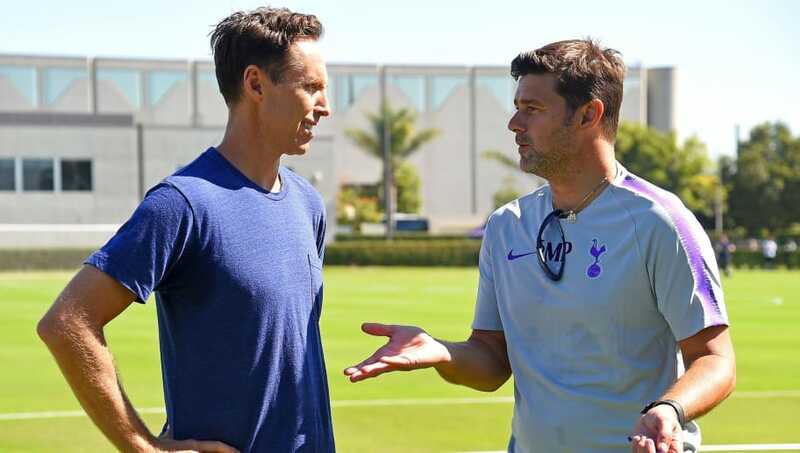 The former England star developed a liking for the side when he moved to the MLS to play for L.A Galaxy in 2007 and has stuck with the franchise since. Beckham previously revealed that he was a Magic Johnson fan for many years, but really became a Laker fan when he moved to the States. 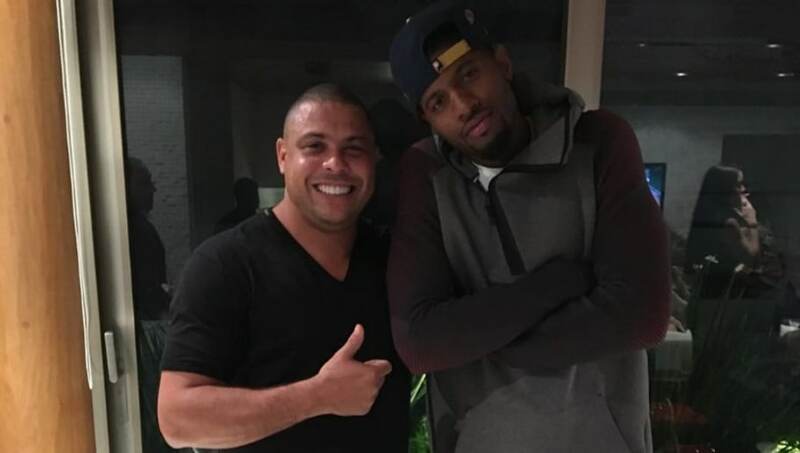 He's often been spotted attending basketball games but with his new MLS expansion side set for Miami, one wonders if he could switch allegiances if Pat Riley manages to land a big star in the coming years. Steve Nash was one of the former NBA stars to be inducted into the Naismith Memorial Hall of Fame this month. The Canadian is considered to be one of the best point guards to ever grace the hardwood and was named the league's Most Valuable player on two occasions. Nash has been a Tottenham Hotspur fan for as long as he can remember. "My dad grew up in Tottenham and so did my dad's dad," he said some years back. "My whole family is Tottenham fans." The former guard is now a minority owner of the MLS's Vancouver Whitecaps and has always been involved in football. He played the sport in an amateur league during the NBA off-season when he was a player and is probably still playing now. Former Chelsea goalkeeper Thibaut Courtois is finding difficulty in getting Blues fans to understand his summer move to Real Madrid, but the Belgian can probably find some distraction in the world of basketball. 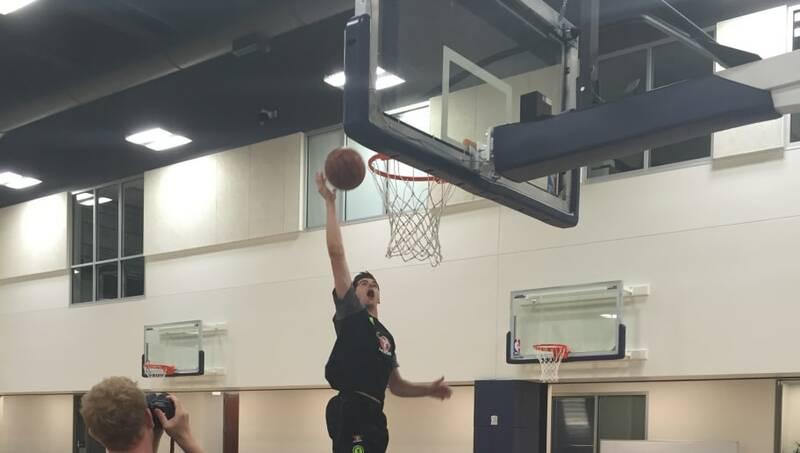 Courtois is a known lover of the NBA and basketball in general and he played hoops as a kid, which is no surprise given his height. 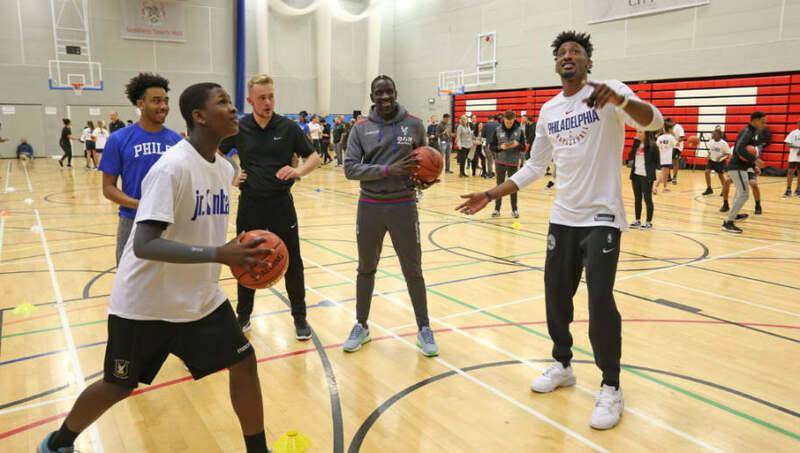 His love for the game has even seen him miss a football match as he was ruled out of Chelsea's Premier League clash with United in April last year after getting injured during a promotional basketball shoot for the Londoners. Paul George is a bit of an exception here. The OKC star is more into playing FIFA than he is into actual football. But, of course, he does love the beautiful game and has been pictured with the likes of the Brazilian Ronaldo and Lionel Messi. George's FIFA obsession is no joke and it even prompted a heated Twitter exchange between himself and former NFL star Chad Johnson back in June. Crystal Palace defender Mamadou Sakho is also a huge NBA fan and he's revealed that LeBron is his favourite player. The Cleveland Cavaliers were his favourite team by extension, but it would be pretty safe to assume he's a Laker fan nowadays. The Frenchman also seems to have some liking for the Philadelphia 76ers as he's been spotted at one of their games, with Palace also meeting up with the Eastern Conference side in the past. Lakers shooting guard Josh Hart could be in for a good season now that LeBron James is his teammate. The 23-year-old averaged 7.9 points per game in the last NBA season and, while his numbers won't necessarily go up, considering that there are a few new additions apart from LeBron, he could be playing Playoff basketball come next year. 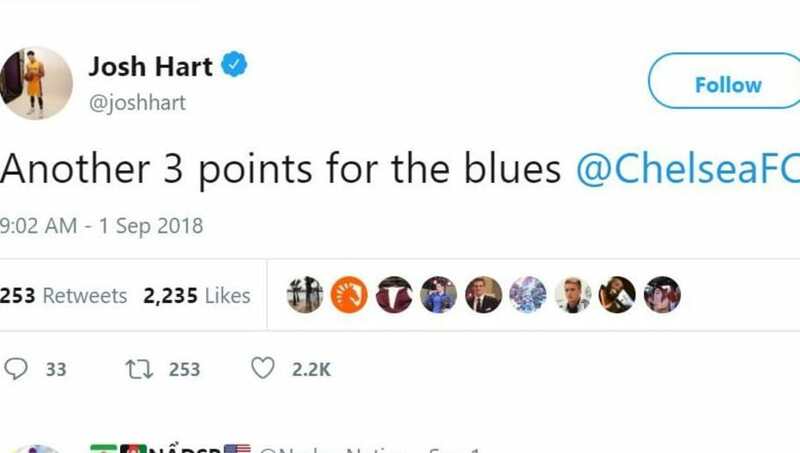 Apparently, Hart is a big Chelsea supporter and has been pretty vocal about in his support for the Blues on Twitter. If all goes well, he could have several things to celebrate next summer.